Quiz: Do You Have a Radical Marriage? 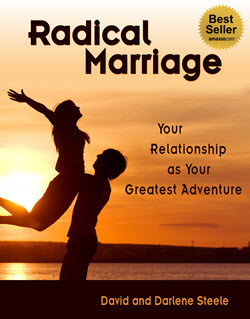 Do you have a Radical Marriage? Take this quiz and see! ____ Our relationship is unique and different from any couple we know. ____ We are absolutely committed to each other and don’t ever think or talk about not being together. ____ We both take emotional risks and share all of our hopes, dreams, feelings, needs, issues, desires, and thoughts without holding anything back. ____ We accept, appreciate, and love each other 100% as is. ____ We consciously and continuously co-create our relationship. ____ We resolve issues and differences positively and without conflict. ____ Our relationship and lifestyle is driven by a shared vision that we developed together. ____ We have regular rituals and practices for maintaining our connection and enhancing our relationship. ____ We have each other’s back and support each other 100%, even when we disagree. ____ We both feel safe and loved, even when we’re mad at each other. 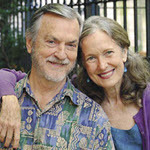 ____ Our marriage seems to always be evolving, providing us continual challenge and excitement. ____ We always make decisions in connection with each other. ____ We prioritize each other’s needs and happiness. ____ We both take responsibility for getting our needs met in the relationship. ____ Our marriage is a role model and source of support for our family and community. ____ If we have a problem we don’t settle for “stuck” and seek creative solutions and get outside support as needed. ____ Our marriage is 100% positive and “I can’t”, “I won’t”, “It’s impossible”, and “It’s your fault” are not in our vocabulary. ____ We fall back on compromise as a last resort for resolving differences and it is rarely needed. ____ We successfully fulfill each other’s emotional, physical, and spiritual needs in our relationship. ____ We both consider our marriage to be our greatest, most important asset and source of fulfillment, meaning and adventure. 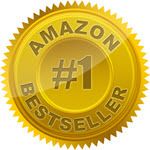 Scoring: While each item is important for a highly successful relationship, this is your unique life and marriage, and if you can answer #22 positively, congratulations, you have a Radical Marriage!